Coloured and waterproof mortars for patching ceramic coatings. Grouting mortars There are 2 products. 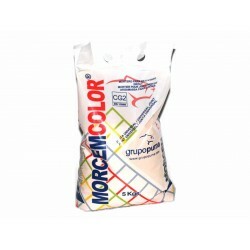 Coloured mortar with additives, made of mixed bonding agents.Great fineness and plasticity.For grouting up to 5mm joints in all kinds of floor & wall tilings.Specially recommended for marble, porcelain stone, rectified and terrazzo. Several colors of grout available. Price per 3kg/bag. 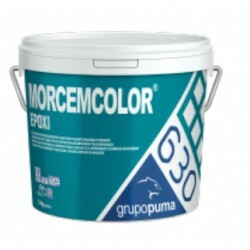 2 part epoxy grouting mortar.Suitable for grouting or sealing tiles, bricks, blocks, etc under heavy chemical or mechanical stress (abbatoirs, industrial kitchens, laboratories, hospitals, etc).Suitable for interior and exterior floors and walls. Price per 5Kg/und.